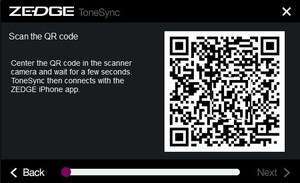 Zedge ToneSync is a free program that enables you make ringtones for iPhone in a fast and easy manner. The program requires you to install the iTunes application. You can transform your favourite music tracks into ringtones that you can use on your iPhone as a phone call tone. For security reasons, you should also check out the Zedge Tonesync download at LO4D.com which includes virus and malware tests. Additional screenshots of this application download may be available, too.